Bosch Original Recipe Contest, Plus New Euro Kitchen! This is a gorgeous fridge and someone is going to own it! 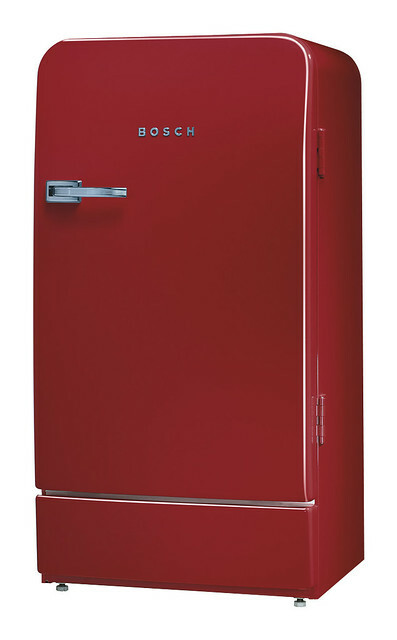 Bosch is running an Original Recipe Contest, whereby they are giving out this Bosch Classic Edition Refrigerator worth S$2,299. Customers who purchase the new Styline MUM 5 all-in-one kitchen machines and MCM 4 food processors will be eligible to participate. All you have to do is submit your favourite and original dessert recipe. They will pick 10 best recipes to be featured in a Bosch Recipe Book, and you'll get a 100% reimbursement for your purchases, and one lucky person will win this fridge! The closing date has been extended to 30 November 2011, so grab your chance! More details on the website. And thanks to the folks at Bosch, I have a new Bosch Styline MUM 54230 to play with, and I can't wait to try it out. It's a 900W mixer, slicer, blender, citrus press, oh-my-god-so-many-things! It's nice to combine all the various kitchen appliances in one stylish machine (it won the Red Dot Design Award 2011). Saves a lot of valuable kitchen counterspace! In time to come, I hope to show on the blog what the machine can whip up. It comes with a recipe DVD and two-year warranty. Meanwhile, I want to go check out the new Bosch Euro Kitchen at Millenia Walk (9 Raffles Boulevard, #02-57 to #02-62). 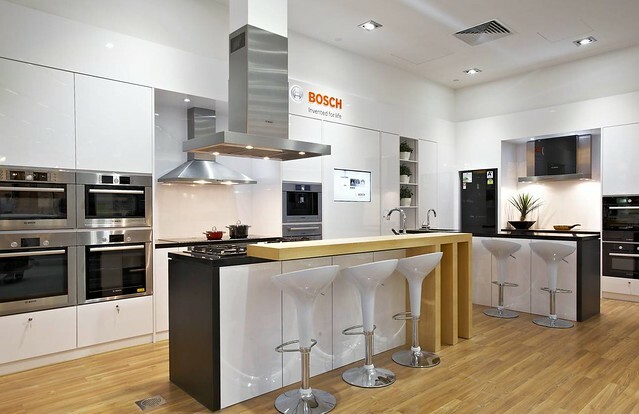 It's their largest "live' kitchen in Singapore, where you can experience and interact first-hand with the kitchen gadgets, including the exclusive Bosch Black Edition range of appliances. I seriously need a new oven, so I wanna go see their models. I'm dreaming of a steam oven, but never used one before. Have you guys tried any? I think no more tabletop ovens for me, with all my (probably abusive) baking. My old Rowenta was quite good, but it went bust after I used water in a little tray too often for baking breads. I'm hoping a steam oven will prevent that. Any other recommendations you baking experts out there have, please let me know! Wow! Their "Bosch Styline MUM 54230" look great!!!! How good if i can own a set too :p Can't wait to see what you would come out with these great helpers. 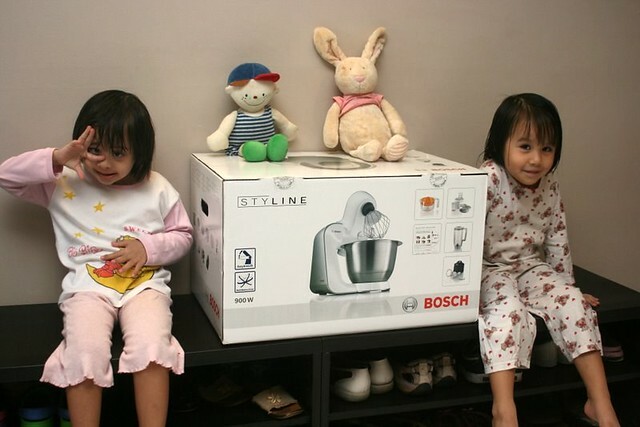 glad you've received the new Bosch Styline MUM5 All-In-One Kitchen Machine! Keep us posted on your recipe creations using this great kitchen helper! I have an almost BOSCH kitchen! was just looking for a mixer...if you could like me know how it is?